Furry and furry-ish starters returning include Donkey Kong, Yoshi, Fox, Pikachu, Bowser, Diddy Kong and King Dedede (who may or may not be some kind of anthropomorphic penguin). Non Nintendo guest characters are available from the beginning this time around, and Sonic the Hedgehog is returning. 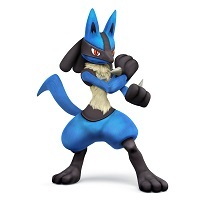 Anubis-based Pokémon Lucario has been upgraded from unlockable to starter for this game, and fellow Pokémon Charizard is also returning as a separate character. In the last game, he was a part of the Pokémon Trainer's team of Pokémon, along with the cut Ivysaur and Squirtle. 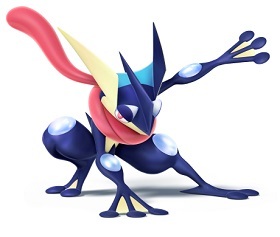 The only furry newcomer of note in the starting lineup is Greninja, from the newest newest Pokémon games. Perhaps the most disappointing new character from a furry standpoint is Villager, the only character from the Animal Crossing games who is not an anthropomorphic animal. Falco and Jigglypuff are returning as unlockable; Jigglypuff is now the only character to be unlockable in all iterations of the Super Smash Bros. franchise. Following the trend of disappointingly low number of new furry characters, only two could be considered furry; Bowser Jr. and Duck Hunt. Both are actually made of multiple characters. 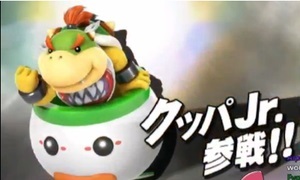 The first is actually eight characters, instead of different pallet swaps for Bowser Jr., players can pick between Jr. and the seven Koopalings, making all eight of Bowser's children playable. 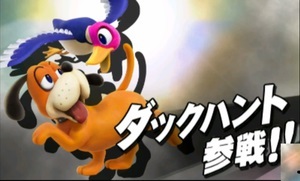 Duck Hunt is the name given to the (perhaps rather perverse) team up of one of the ducks from Duck Hunt and the infamous laughing hunting dog from that game that would taunt a player who had missed all the ducks. 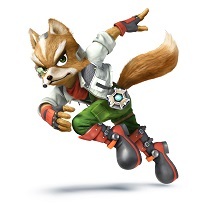 Unfortunately for furries, in addition to the aforementioned cuts of Ivysaur and Squirtle, former unlockable fighter and rival to starter Fox Wolf will not be returning. Previously cut characters Mewtwo and Pichu are still missing in action, despite the former being one of the most surprising cuts of last game. Back when the game was first announced, I wrote an article containing "vague speculations" about possible furry characters that could be appearing. I did terrible. Of the nine characters profiled, only Bowser Jr. is playable, though Midna (admittedly sans the actually furry Wolf Link) and Zoroark are non-playable helper characters. Oh, well, seems Krystal can't enjoy her Super Smash Bros.. Again.